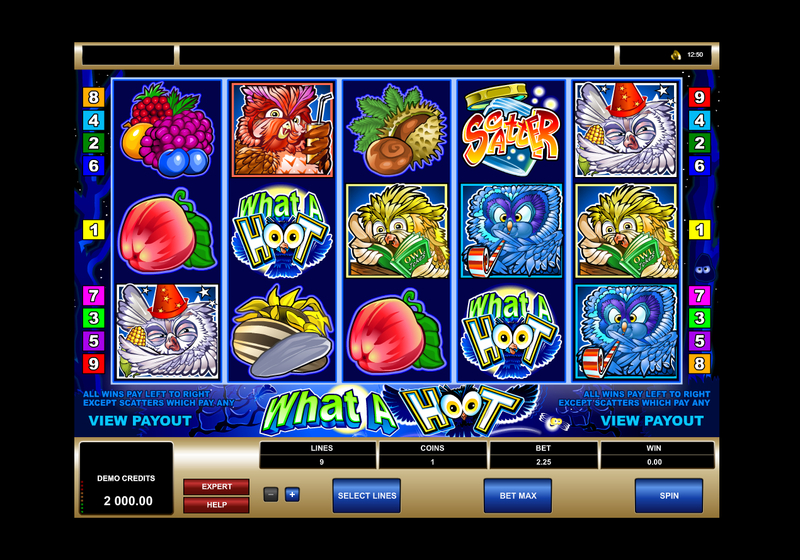 What a Hoot slot presents 5 reels, over 3 rows and a grand total of just 9 paylines and has been developed by Microgaming. Available across all handheld and desktop devices, you will certainly be able to get onto this game whatever your preference. Look out for the games Wild symbol, which is the Tree, substituting for all symbols except the Scatter. The actual Scatter symbol is the Jar icon and 3 are required to activate the bonus feature. Here you will be collect 2x, 10x and 50x depending on the number of scatters (3, 4 or 5). 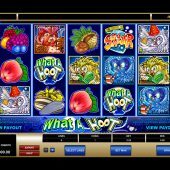 Unlike many other popular Microgaming slots, such as Break Da Bank Again, Avalon 2 and Thuderstuck, there is no free spins feature in What a Hoot. However, there are plenty of other winning opportunities to be had. What a Hoot wont be everyone's first pick when entering the casino lobby, but its certainly worth checking out for its unique bonus feature and slightly whacky theme.